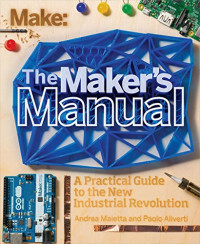 The Maker's Manual is a practical and comprehensive guide to becoming a hero of the new industrial revolution. It features dozens of color images, techniques to transform your ideas into physical projects, and must-have skills like electronics prototyping, 3d printing, and programming. This book's clear, precise explanations will help you unleash your creativity, make successful projects, and work toward a sustainable maker business. Paul Brunton was one of the finest mystics of the 20th century, bridging the gap between the spiritual and physical realms in his own inimitable way. For him, dreams began within the spiritual and manifested in the physical.We are more able to listen to, and understand, the inner self in sleep in ways we are not able to do in waking life.